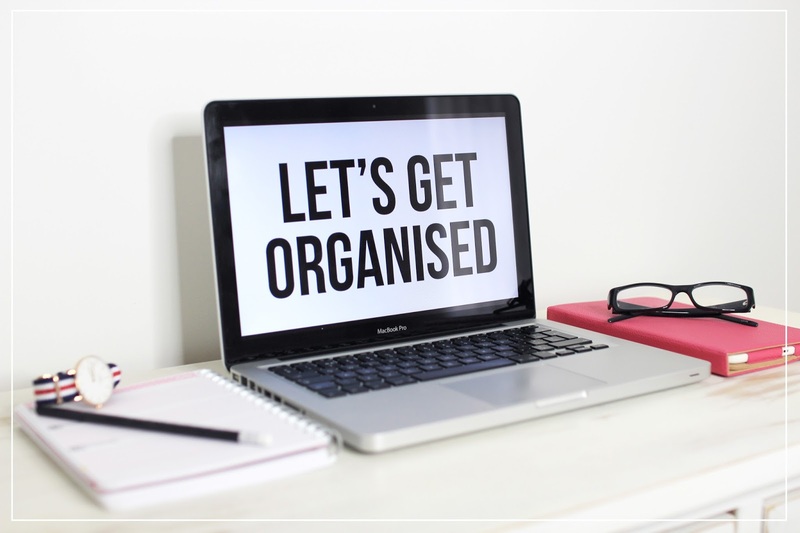 If your a student or in school then I thought I’d put together a few tips to help you get and stay organised, I sometimes struggle as a blogger to be organised but I also like to follow some of these steps to keep me in check and they seem to work really well for me so I hope they can help you too. Choose a workspace that will help you be productive, make sure it’s a quiet place you’d like to come sit at and avoid clutter and mess. I always find that having a fresh clean space to work at really helps my mind, keep plenty of healthy snacks nearby so your not tempted to go to the fridge and end up having a longer break than you need. I also love to buy new stationary, for some reason it always makes me more excited to get to work! Writing notes is my number one thing to do, I write notes absolutely everywhere; on my phone, my planner, my 100’s of notebooks. If you have a great idea it’s good to jot it down so you can come back to it later and expand those ideas, it’s the worst feeling to think of something fantastic forget to write it down then not be able to remember that amazing idea.. get writing! Are you one of those people that’s always late to get out the door? By organising your outfit the night before you can ensure you get that extra 5 minutes sleep stress free and be happy to know your outfit is already ready when you get up. I’m the absolute worst person when it comes to what to wear in the morning so something I always used to do was get prepared the night before, this could also work well with having lunch organised and extra bits you may need to bring the next day. If you know you need to bring something to school, college or uni and you don’t want to organise the night before then jot yourself down a note to make sure you don’t forget it. As a student I can imagine money is quite an important factor and one thing I’d highly recommend is thinking about getting a Student account, it’s really important to keep your student finances in check and by having a Student account you can make sure your getting the most out of your account and receiving all the benefits you can as a student. With Lloyds you can get 5% interest on your balance up to £500 paid to you each month, you can also have a free £10 overdraft buffer which will help with any unplanned overspending and stop you from getting those hefty overdraft charges. There’s so much more these accounts can offer so it’s really great to look into as they are tailored to you as a student, if your worried about switching accounts then don’t be because there’s also a free 7 day switching service that Lloyds offer, you can read more about that here. Last but not least we have to talk food and again this comes down to money and being organised. Fast food can be yummy and may seem like a good idea at the time but it does all add up and is not the healthiest choice so maybe stick to a treat night and the rest of the week plan your meals, this will help with budgeting and it’s also nice to know what your going to be eating each day and give you something to look forward too. If your not a big cook then don’t worry, there are plenty of simple and easy recipes out there; you can buy some recipe books, watch YouTube videos to talk you through yummy meals or even ask your family for some good family recipes. What is your top tip for students getting organised?